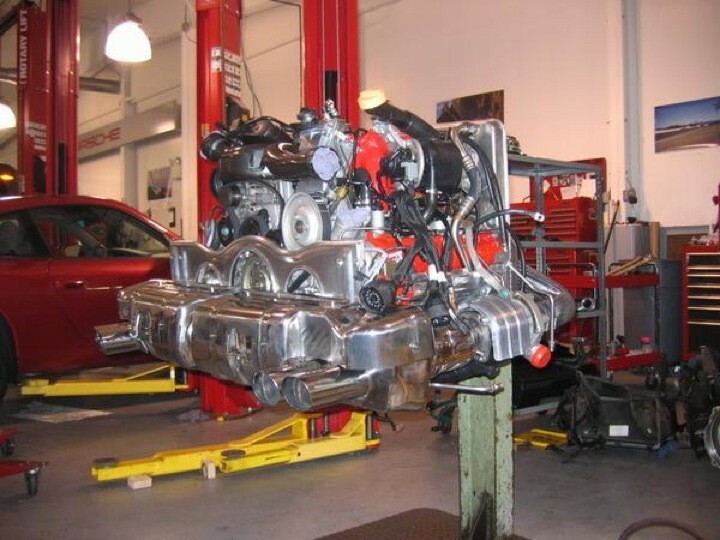 Porsche repair serving the greater Philadelphia and Broomall, PA area including, Delaware, Chester, and Montgomery Counties, West Chester and Wilmington. We are everything you expect from a Porsche dealer except the price! I have been using the The Porsche Specialist for 3 years. I recommend to all Porsche owners who are looking for great service and someone you can trust. The work is done right and never feel like I am being oversold on repairs. It is worth driving a little farther to find a great repair shop. They do everything for me from the yearly service to performance upgrades. My Cayman had a major engine failure on the freeway. I had heard about The Porsche Specialist from someone in the local PCA club. It was worth the hour plus tow. The process went as fast as one could expect with a major engine failure, it was a couple months. The repair wasn't "cheap" but I wouldn't want a cheap engine job. The service manager presented several different options, repair what was here, or source several different motors. If they got a motor it would have made the process go faster but would have cost me an extra 10k. I elected to have the engine torn down to the crank and have the engine rebuilt. It is nice to have a repair shop that understands these vehicles. The entire staff was helpful. I serviced my past 2006 Boxster with Kevin at The Porsche Specialist for many years. He was much more reasonable than the dealer, but always referred me to the dealer (stealer) if the work would be covered under my warranty. I trust Kevin 100% and value his opinions & recommendations. He's mounted & balanced wheels for me, and the rims were never damaged like at several dealers. My dealer wanted well over double Kevin's price to change my Porsche spark plugs. 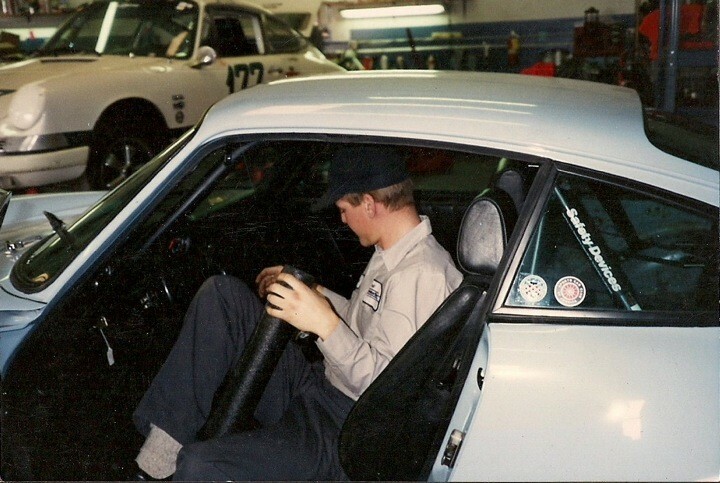 Besides price, Keven knows Porsche vehicles and grew up with one, his dad's. Most of all he's a sincere, honest and mild mannered pleasant guy to deal with. He won't try to talk you into anything or suggest unnecessary repair work just to make a sale. Not that kind of guy. He is most pleasant to deal with. I recommend him to all my friends., and several have become repeat customers. Thumbs up! Kevin at The Porsche Specialist did the PPI on my Boxster, fixed all the little issues it had, and also installed the LN IMS Bearing, all for a great price. I was recommended to him by the previous owner of the car, and I'm glad I was. I am moving to FL and I hope I can find another Kevin there. Very highly recommended. He really knows his stuff. Kevin knows Porsches like you know your own house. I've been with him since my 2001 c4, he's been with me through several others, a straight - diligent specialist in German. My 528 is set for a 2000 mile drive, it's running slick and like just broken in. His prices are very reasonable... and great quality workmanship. Thanks Kevin and The Porsche Specialist crew. My 2003 CS-4 lost an intermediate shaft bearing and died. The dealer gave me one option-a Porsche factory-rebuilt engine for $26k. I had the car towed to Kevin's shop, The Porsche Specialist, and he gave me an informal estimate of half that amount. He completed the engine rebuild quickly, under estimate, and with upgraded parts, where possible. He was friendly, available by phone, and professional. His shop is spotless, and you get the sense that he is genuinely interested in keeping your Porsche running without soaking you. He is just the sort of skilled independent car mechanic you always hope to find, especially if your car is unusually expensive to fix. Prior to purchasing my 1st Porsche 911 (964) last summer, I was concerned as to what to look for prior to the purchase. Then, where I’d take it for service after the purchase. As I shopped around, I found many of the "specialists" to have an attitude that quite frankly, I didn't appreciate. Then, I found The Porsche Specialist, owned by Kevin. He was very gracious with his time on the phone with me as he must have spent at least an hour discussing some of the things I should be looking for as I inspected this prospective 911. It was out of town so I couldn’t take it to Kevin for a pre-inspection. The good news came after the purchase when I took it to Kevin for his inspection! Car passed with flying colors! Most important point here is my highest recommendation of Kevin’s shop. He’s a tremendously knowledgeable guy how cares about his customer and his customers, Porsche! His prices are more than fair and you’ll come away pleased that he serviced your Porsche! He’s a really nice guy, too!